Product #60496 | SKU 8-ANV C+SH KIT | 0.0 (no ratings yet) Thanks for your rating! Ergonomic design and organic shape, one piece of aluminium, build in two nato rails & anti-twist locking pins, easy access to all sockets. The 8Sinn Cage for Atomos Ninja V with Sunhood features an ergonomic design and organic shape. Made of one piece of aluminium, build in two nato rails & anti-twist locking pins. 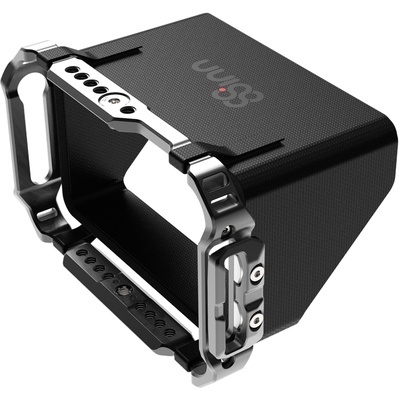 The cage allows easy access to all sockets and has many mounting points & HDMI cable clamp. Comfortable grip and soft lines of our designs are convenient in long-lasting usage. 8Sinn design does not interfere with camera body structure at any point. It also provides safe and comfortable grip.